It is another Happy weekend in Maui and we have lots to celebrate about. 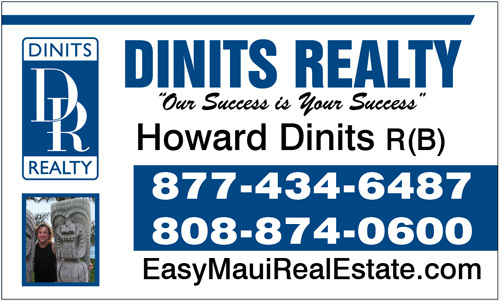 We helped 2 buyer clients from Canada score condos in Maui. Our Success is Your Success, so please take a look at our new and improved search engine with every listing on Maui, Lanai and Molokai. You can now use your phone, tablet and desktop to search for new listings, homes for sale on Maui, condos for sale on Maui. The greatest part about it, is our website will remember YOU and your saved searches and properties. (No app required works with Android, iPhone, Blackberry, Windows, Palm, Apple and others too) The best part no android or apple app is required. It just WORKS. Please try it out login and save your searches and properties rememember to report any problems that you have so we can fix them. PS We have something else to share with you.